There is now a DomTerm mailing list at domterm-discuss@domterm.org with an information page and archives. 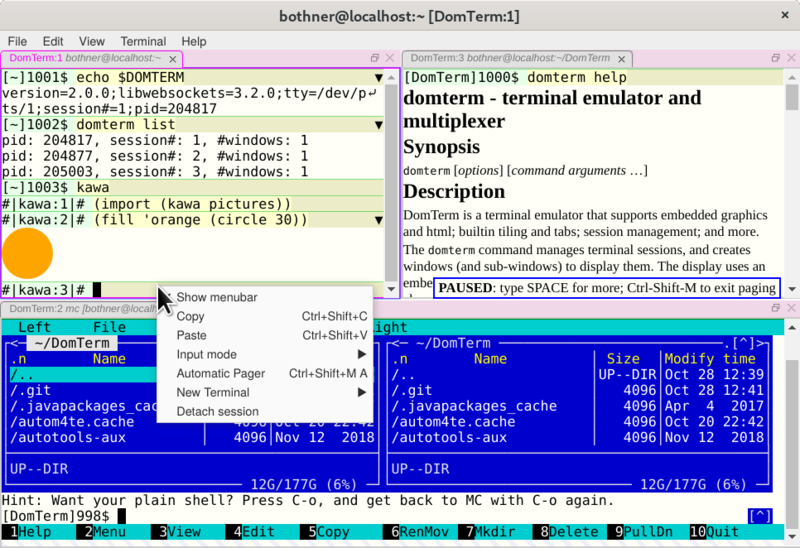 The qtdomterm application is designed to replace your favorite standalone terminal emulator program. It uses QtWebEngine. Mouse support using xterm protocols. You can save the console file as an offline-readable (x)html-file. Pretty-printing (Common Lisp style) is now handled by DomTerm. This means automatic re-flow on window re-size.